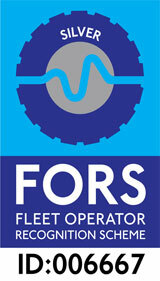 W.Rolls Ltd is a family run bulk haulier that is based in Somerset. We strive to provide excellent customer service and have a flexible approach to business for all our customers to ensure that all your needs can be fully met. At W.Rolls Ltd, we can deliver in bulk nationwide on 6 & 8 wheeler tipper lorries carrying up to approximately 20 tonnes or 40 cubic metres. We can also arrange for larger or smaller vehicles including 4 wheeler approx 10 tonnes and artics approx 29 tonnes. Our comprehensive range of materials includes type 1, type 2, scalpings, limestone sub-bases, sands, gravels, wood chips, barks and graded topsoil's. We also supply all materials and bedding sands for agriculture and equestrian use. W. Rolls Ltd also offers a range of specialised products: Sand & Soil Blends, Screened Topsoil's, Equestrian Sand, Children's Play Sand, Building Sand, Bunker Sand, Decorative Gravel, Cotswold Chippings (various sizes) and Road Salt. Please call our office on 01749 831311 if you have any other specialised material questions, or use our contact form.